[CLOSED] HORSE AROUND AT ROYAL ASCOT! Enter our competition to win two FREE tickets to Royal Ascot! 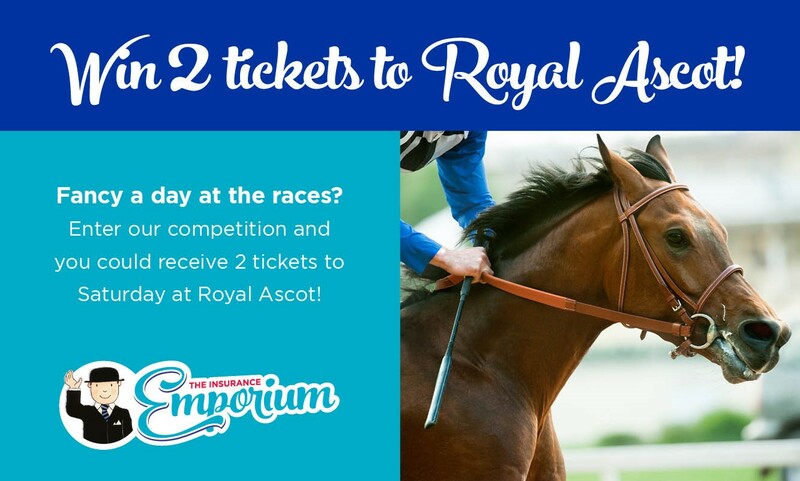 It’s one of the biggest events on the horse racing calendar and we, at The Insurance Emporium, are giving you the chance to win two tickets to it! That’s right, we’re offering people the chance to attend Royal Ascot by entering our competition. By entering your details in the competition form below, you could win two FREE tickets to the Queen Anne Enclosure on Saturday 23rd June 2018. Here, you’ll be able to enjoy excellent views of the horse races and you’ll be close to the riders and runners when they’re in the Pre-Parade and Parade Ring. Royal Ascot is a major event on the social calendar and, as the name suggests, it has connections to the monarchy. There are a number of races named in honour of the British royalty across the five days of Royal Ascot; these include the Queen Anne Stakes, the Diamond Jubilee Stakes and the Gold Cup. Each year, the Queen and other members of the Royal Family attend. Who knows? Maybe you’ll be lucky enough to catch a glimpse of them! Ascot Racecourse itself was founded by Queen Anne in 1711 after she saw an area of open heath while out riding that she thought would be “ideal for horses to gallop at full stretch.” The first race meeting was held that year on Saturday 11th August. Since then, things have evolved considerably, with the first four-day meeting taking place in 1768 and the Gold Cup being introduced in 1807. These days, the race is attended by a mixture of horse racing enthusiasts, royalty, celebrities, socialites and people who simply love a fun day out! We want you to be one of them, so just enter our competition for the chance to see the action for yourself. You might be interested in Royal Ascot if you own a horse yourself. Perhaps you even enjoy competing in sporting events with your steed. If this is the case, it could be wise to get insurance. At The Insurance Emporium, our horse insurance comes with a discount of up to 20% for new customers as well as a further 10% if you insure more than one horse. If you’re looking for equine insurance, gallop on down to The Insurance Emporium today!